Currently out of Stock! Kiln dried, Rough, Random Widths & Lengths 3" & wider x 3' & Longer. Turning Stock available. USES: High-end architectural woodwork applications, cabinetry, fine furniture, turning stock, musical instruments and more. COLOR DETAILS: Heartwood varies from golden brown to dark purple brown. Sapwood is yellowish often with purplish tinge and sharply demarcated from heartwood. WORKABILITY: Dense, heavy and strong. Fairly difficult to machine. Slow speeds and sharp knives recommended. The dust can be toxic so skin and eye protection are needed. 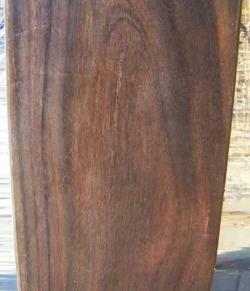 East Indian Rosewood (Dalbergia latifolia) is a true rosewood and is commonly used as an alternative to the more difficult to obtain Brazilian Rosewood (Dalbergia nigra). The trees are native to Southern Asia and are exported mainly from India, Indonesia, Java, Napal and other asian locales. Similar to other rosewoods such as Honduras Rosewood, and Brazililian Rosewood (very rare since cites ban back in the '60s), East Indian Rosewood is very dense and yields a nice satin finish. 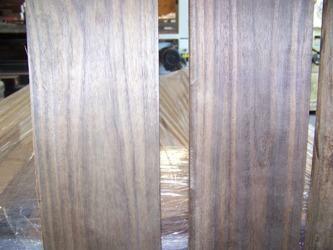 Call Pat or Tom at 877.983.6367 to discuss your East Indian Rosewood needs.